It's time for "Back to School" shopping and we are here to help all of our parents! 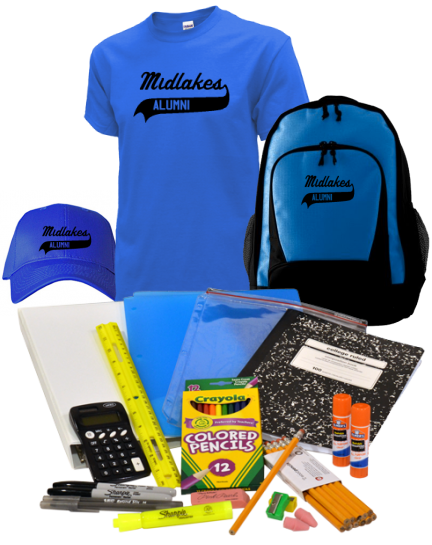 Our spirit supply backpacks are loaded with essential school supplies and come with a custom school spirit T-shirt, embroidered backpack and baseball cap. 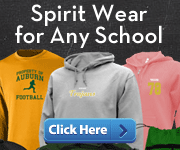 Our supplier also offers Spirit Packs for other schools. If you're searching for spirit packs for another school please use the below link that says search other schools. Select the school state and you will be all set! All purchases help support our Screaming Eagles alumni site! Visit our Midlakes alumni site to browse photos and welcome our newest members.